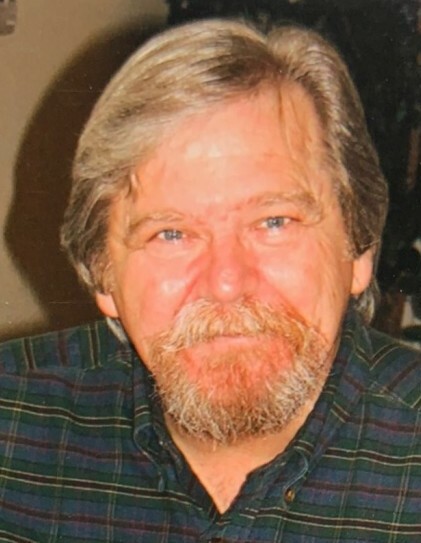 Phillip Hansen, 68, of Washington, loving husband, father, grandfather, brother, uncle, and all around good guy, passed away at 4:30pm on Thursday, April 11, 2019 after an all too brief battle with a rare form of T-Cell Lymphoma. Phil was born at St Joseph Hospital in Kansas City, MO on January 20, 1951, a very cold day according to his dad, Louis Hansen, who was hanging shutters for a friend. His mom, Etta May (Riddle) Hansen, insisted he would be a girl, but gave birth to a healthy little boy before Louis could arrive to the hospital. Though named after the famous baseball player, Phil Rizzuto, he grew up to be a football fan. Growing up in Kansas City, MO probably influenced his team of choice, the Kansas City Chiefs, and he was especially pleased with their performance last season. Phil worked his way through college and graduated from the University of Missouri at Rolla with a degree in metallurgical engineering. He settled into employment at Caterpillar, Inc., where he worked for 39 years. He was a people person, and therefore had no problem travelling the world for Cat, selling their equipment for use in mines all over the world, and making many friends along the way. While working for Cat in Roanoke, Va he met Debra Wertman and the two were eventually married on July 7, 1989. Phil leaves behind his wife, Debra Hansen of Washington; sons, Nathan (Heidi) Burchette of Morton and Nicholas Hansen of Washington; beloved grandchildren, Sadie and Sam; dad, Louis Hansen of Washington; brothers, Dennis (Peggy) Hansen of Bethany, MO and Bruce (Judy) Hansen of Fairfax Station, VA; special nieces, Francine, Denise, and Nicole; the two dogs (Charlie and Baxter) he doted on; and a host of many other family and friends. His mom, Etta May, preceded him in death. Phil was gifted in many ways. In addition to his gift of gab, he was a talented investor and genealogist. He compiled an extensive family history and loved discovering interesting stories as he did his research. Phil touched many lives, in many different ways. He loved to help people and poured his heart into whatever he was doing. A service to celebrate Phil’s unique life will be held at 1:00pm Thursday, April 18, 2019 at Deiters Funeral Home and Crematory in Washington. Pastors Tim Harkness and Kent Smith will officiate. There will be three opportunities for visitation, all at the funeral home: from 1-3:00pm and 6-8:00pm on Wednesday, April 17, 2019; and one hour prior to the service Thursday. Private burial will be at Glendale Cemetery in Washington. In lieu of flowers, memorial contributions may be made to OSF Healthcare Foundation or online at osfhealthcarefoundation.org c/o Adult Hematology Department.